Now that the new tax law has come into place, plenty of people are thinking about what they need to do in order to protect themselves and their future. This often warrants a conversation with your estate planning lawyer, who can tell you more about what you need to know. An estate plan often needs to be updated based on your individual circumstances as well as shifts in state and federal laws. The aggressive tax reform that was recently passed should prompt you to schedule a consultation directly with an attorney. Ensuring that your plan is up to date can make things much easier for your loved ones in the future. The following questions should be considered by anyone who believes that an update to their estate plan may be in order. 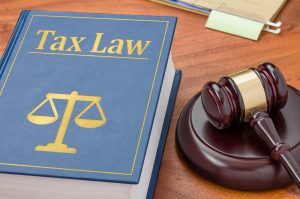 Will my estate tax picture be impacted by the new federal law? How does my marriage or divorce get affected by the exemption limit? Do I have to worry about any state estate taxes because of a property I own in other locations? Are my estate documents customized to avoid unintended consequences and carry out my individual wishes? How soon should I schedule another review of my estate plan?